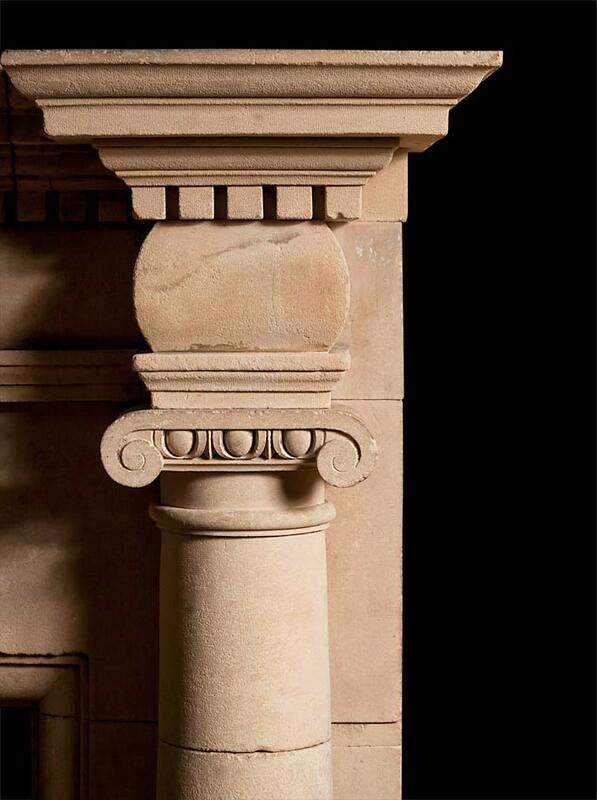 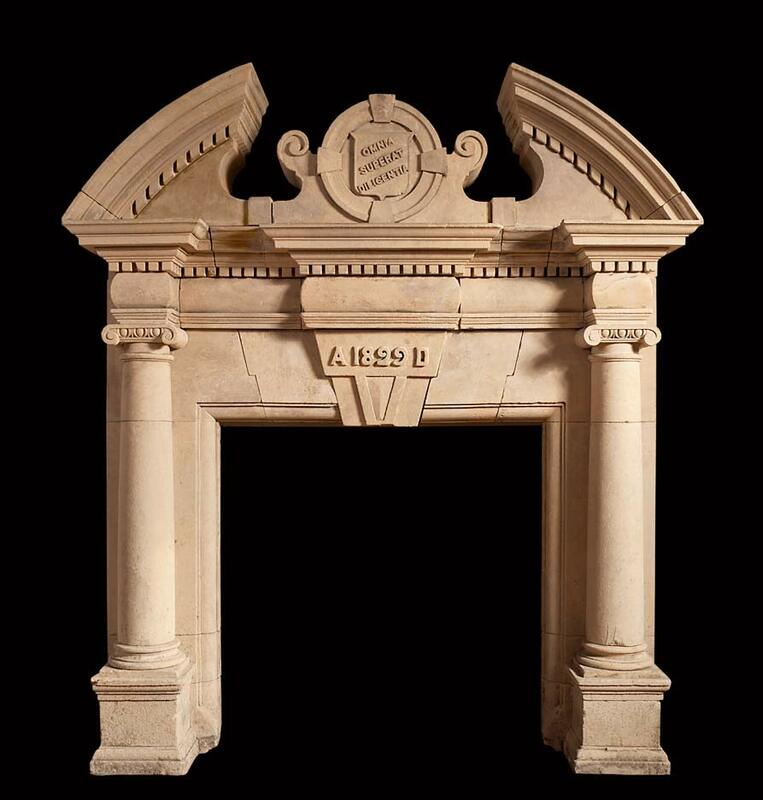 The engaged ionic columns support curved barrel end blockings and frieze panels, below these the key stone with the date of manufacture A 1829 D. The open pediment with dental detail rests upon the thick moulded cornice. 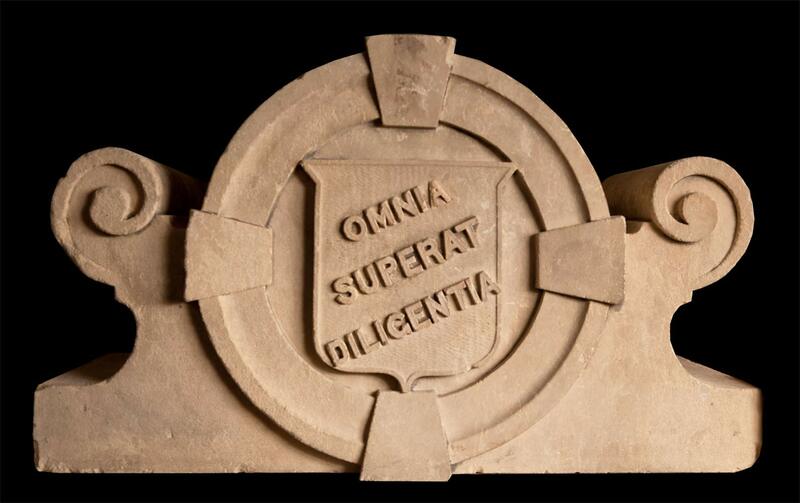 The decoration in the tympanum has the Latin phrase Omnia Superat Diligentia, which translates into English as Diligences Overcomes All. 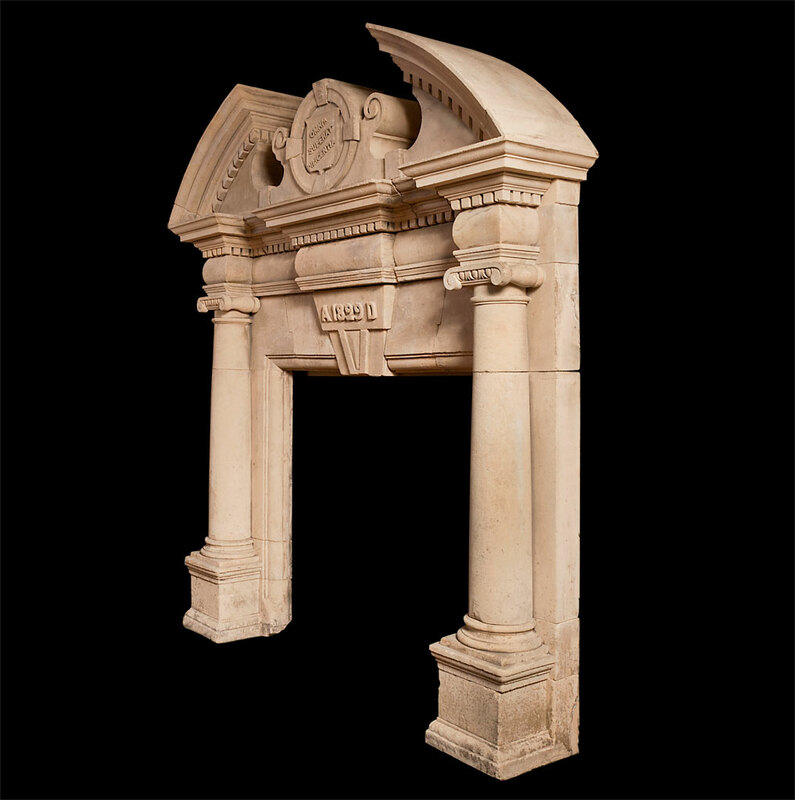 Coade stone or Lithodipyra (Ancient Greek (λίθος/δίς/πυρά), meaning “stone fired twice”) was first created around 1770 by Eleanor Coade who ran Coade’s Artificial Stone Manufactory, Coade and Sealy, and Coade in Lambeth, London, from 1769 until her death in 1821. 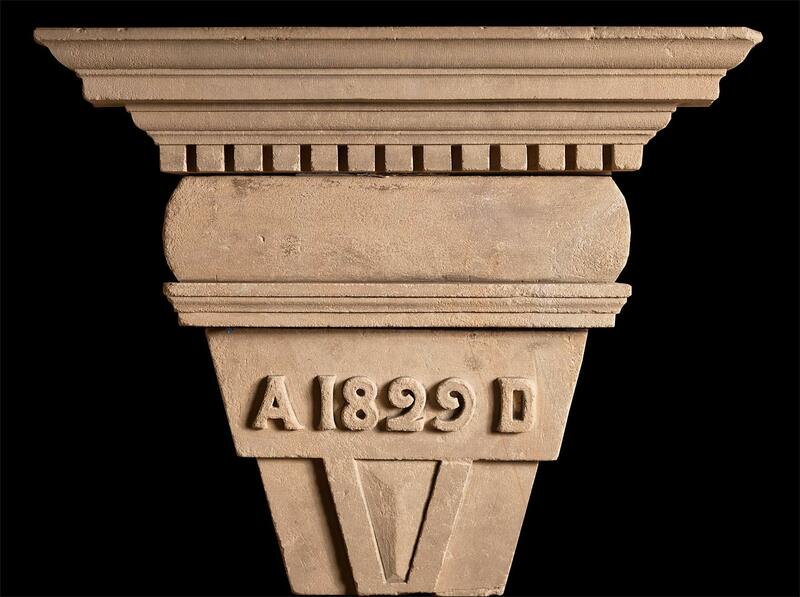 After which Lithodipyra continued to be manufactured by her last business partner William Croggon until 1833. 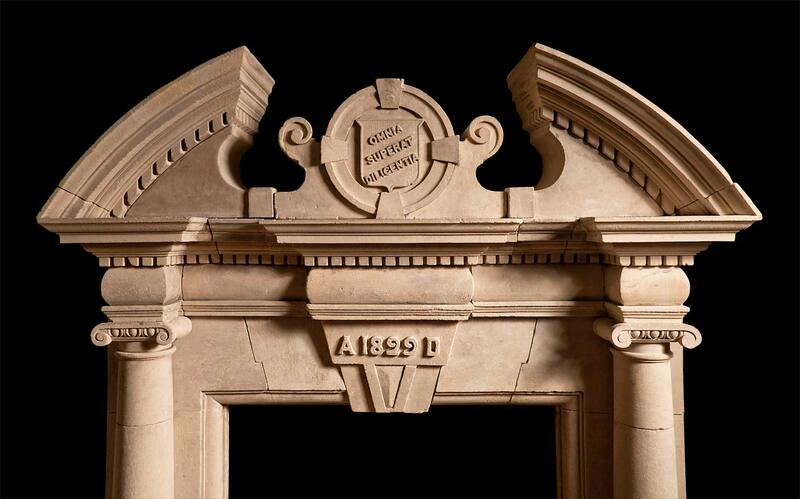 Produced by appointment to George III and the Prince Regent, it features on St. George’s Chapel, Windsor, The Royal Pavilion, Brighton, Carlton House, London, The Royal Naval College, Greenwich and a large quantity was used in the refurbishment of Buckingham Palace in the 1820s.